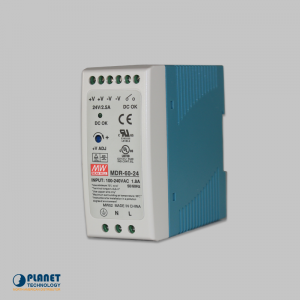 PLANET has released PWR series for industrial Ethernet devices specially designed for the harsh working environment where sometimes it is hard to find suitable DC voltage power source. 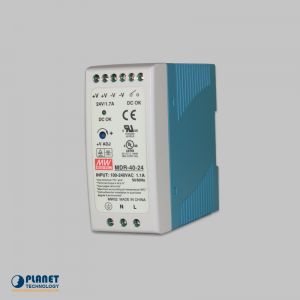 The PWR series are DC single output industrial DIN rail power supply units, which accept universal 90-264 AC input voltage or DC input and provides 48V DC power output with 76.8 watts. 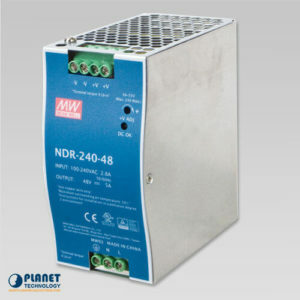 The compact size design can be installed on DIN rail TS-35 / 7.5 or 15. 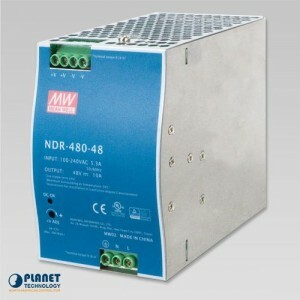 It is an ideal and convenient DC power feeding solution for industrial equipment under heavy conditions. 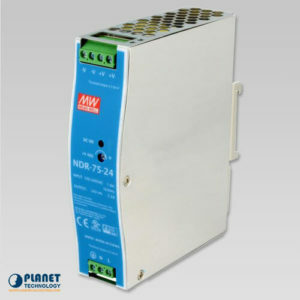 The DC Single Output Industrial DIN Rail Power Supply Units provides various models with short circuit/overload/over voltage and over temperature protections for the stable operation of Industrial Ethernet equipment. 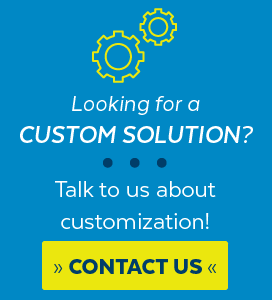 As they adopt the free air convection cooling system, they are able to operate under the temperature rang of -20° to 70°C (maximum). 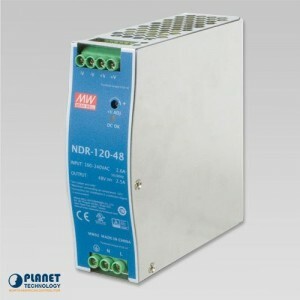 Thus, the DC single output industrial DIN rail power supply units can be placed in almost any environment. 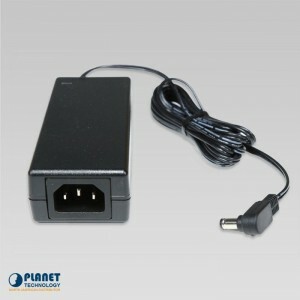 *Note *The specification is for PWR-75-48 hardware version 1 only. 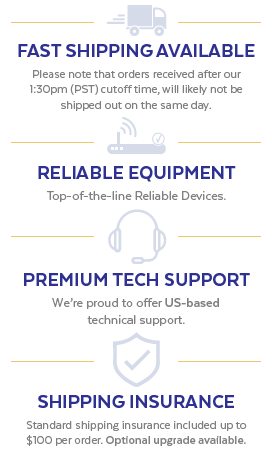 **Please refer to output load derating curve from product specification.